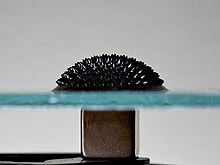 1 Ferrofluid Photo -- Method? Hi Greg(ory). Would you mind describing how you achieved the conditions seen in this shot, e.g. ferrofluid type, use of the iron rod, and so on? It's a very cool image, and should appear with Alt-J's "Tessellate" and other songs calling for an abstract image. Hello. I'm a steward. A new policy regarding the removal of "advanced rights" (administrator, bureaucrat, etc.) was adopted by community consensus recently. According to this policy, the stewards are reviewing administrators' activity on wikis with no inactivity policy. You meet the inactivity criteria (no edits and no log actions for 2 years) on chrwiki, where you are an administrator. Since chrwiki does not have its own administrators' rights review process, the global one applies. If you want to keep your rights, you should inform the community of the wiki about the fact that the stewards have sent you this information about your inactivity. If the community has a discussion about it and then wants you to keep your rights, please contact the stewards at m:Stewards' noticeboard, and link to the discussion of the local community, where they express their wish to continue to maintain the rights, and demonstrate a continued requirement to maintain these rights. We stewards will evaluate the responses. If there is no response at all after approximately one month, we will proceed to remove your administrative rights. In cases of doubt, we will evaluate the responses and will refer a decision back to the local community for their comment and review. If you have any questions, please contact us on m:Stewards' noticeboard. Dear Gmaxwell, I am writing to inform you that you are in danger of losing your adminship on Commons because of inactivity. If you want to keep your adminship, you need both to sign at Commons:Administrators/Inactivity section/Aug-Sep 2014 within 30 days of today's date, and also to make at least five further admin actions in the following six months. Anyone who does not do so will automatically lose administrator rights. Commons:Verified photographer has been listed at Commons:Deletion requests so that the community can discuss whether it should be kept or not. We would appreciate it if you could go to voice your opinion about this at its entry. If you created this project page, please note that the fact that it has been proposed for deletion does not necessarily mean that we do not value your kind contribution. It simply means that one person believes that there is some specific problem with it. Hello. I am in desperate need of your help. Basically, I had an account on Wikipedia (as in the main site) under the username LouisPhilippeCharles and several years ago I was blocked (Can't really remember why as it was aaaaages ago and I've had 5 strokes since) and I eventually forgot the password for said account. Anyway I recently got into contact with an admin who revived the account for me and I did a tiny bit of work on the "main Wiki" and then uploaded several images on the commons (which to be honest I really did enjoy, art is a passion of mine anyway) and was then blocked by one user by the name of Martin H. and am not really sure as to why. Well it was under the assumption that I was a sockpuppet which I can assure you was/is NOT the case. And was wondering if I could possibly have your email address to contact you on at all? I.e. to get unblocked on the Commons. I'd like to be unblocked partly because when I was able to contribute to the commons I uploaded a coat of arms that I made myself and also stated that it was my "own work" only to see it has since been deleted. Well not just that as I've said I do really enjoy the commons. A quick note of acknowledgement and thanks for making your images / graphics available. I just used your yin yang file as the banner image for my blog post here: http://theonehiraethproject.com/anas-posts/who-i-am-a-vision-of-the-collective/. In gratitude I have linked back to your Wikimedia Commons page in hopes others will find you as I did, and the Universe will mist you with gifts equal in exchange. The only thing I would have loved to have found was an email address, website, social media page link or some way to contact you directly. If folks find my end of piece reference to you and have abundance to offer they are limited to reaching you through this public forum page. Maybe that's the way you wanted it. Free will. I'd just love to see you get as much as you gave! This page was last edited on 6 June 2018, at 14:04.